I have a problem in Omniscope and question for you. I need to set our corporate color in Omniscope. I need to have every color column in our color based on RGB. Not only one base colour. 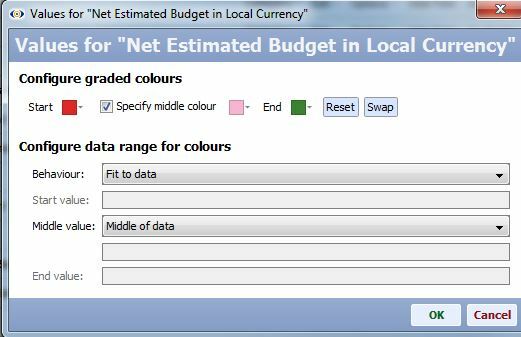 Omniscope provides number of options to customise the data colour scheme and 'pick' the exact shade to use as your data/value colour. 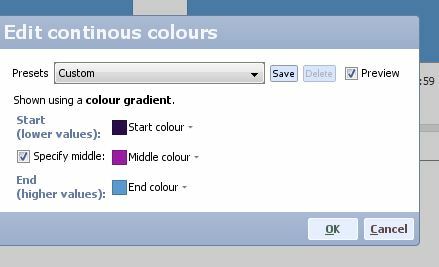 Style>Data colours>Edit continuous colours > use 'pick' colour palette option to lift the start/middle/end colours off the brand logo from a website, or another online source (see image). The scheme will appear on your menu for future use if you save it. 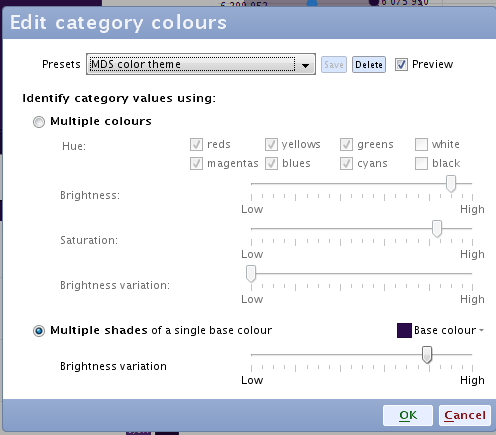 Category colour schemes can be created in a similar fashion, by picking different hue colours, and setting the brightness and saturation levels, as per image below. 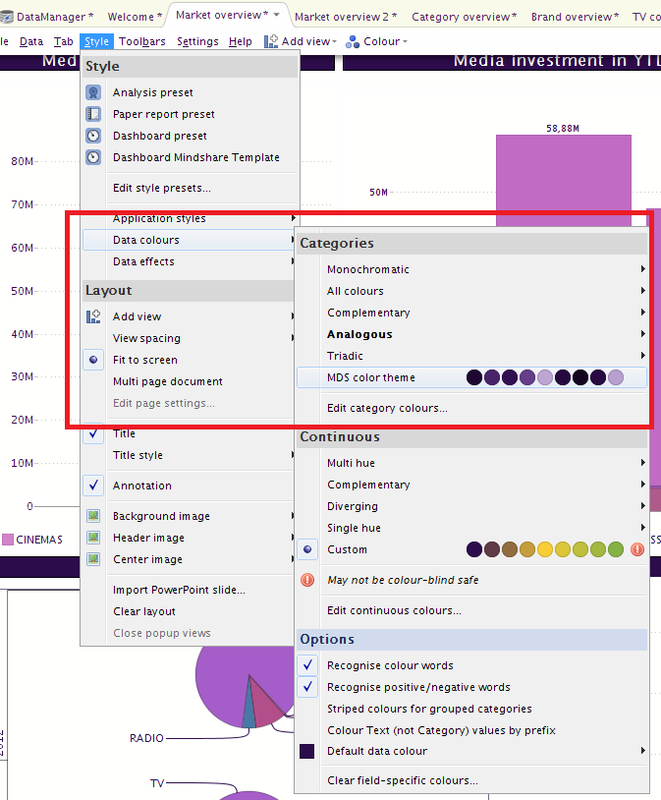 You can create multiple category colour schemes, but note when selecting them that they work one per tab. 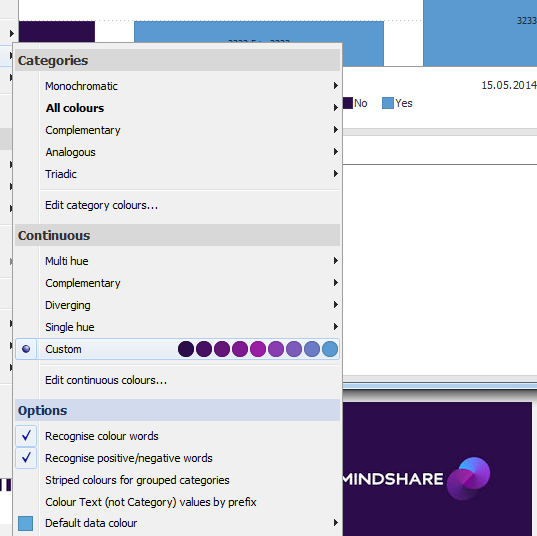 in order to force Mindshare brand always to take purple colour, Coke red and Pepsi blue, for example. 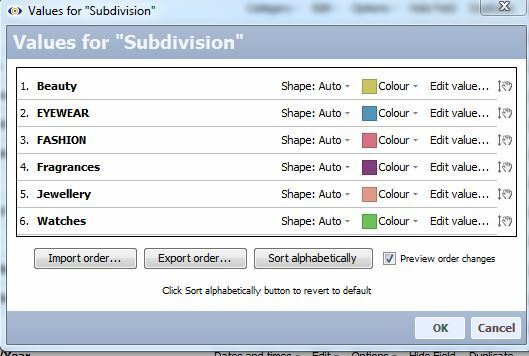 For numeric fields you can customise the grading and pick start/middle/end colours. 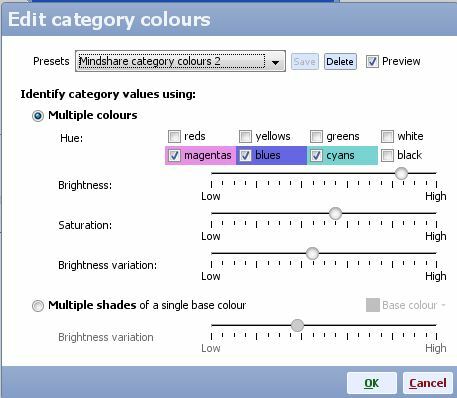 In all these cases 'pick' option on the palette enables you to pick the exact required colour to ensure colouring throughout the presentation is consistent.